This is probably like the best trailer I’ve seen all year.. A Soldier’s Story. Designed to celebrate the Nigerian Army and it looks like it would do that well. 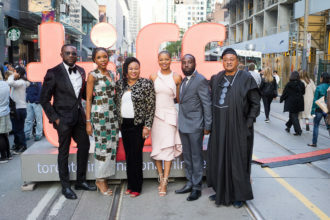 Produced by Martin Gbados, the upcoming love story is directed by Frankie Ogar and features ‘A Soldier’s Story’ stars Linda Ejiofor, Adesua Etomi, Zainab Balogun, Olumide Owuru, Sambasa Nzeribe, and Chico Aligwekwe among others., and will premiere in Nigeria cinemas on October 23, 2015.